It’s been four long months since we’ve received any serious fix for our Star Wars addiction but now we finally have a new trailer for a new film to parse until there’s nothing left. While we’ve known what the basic plot of Rogue One: A Star Wars Story would be for some time, that’s the only piece of information that we knew for sure. With the release of the first trailer, we finally some real images of what Rogue One will look like and who the characters in it will be. While only one of our new characters has a name so far, we can make some educated guesses about who all these new people are based on how they are portrayed in the trailer. Here’s a rundown of everybody we’re seeing for the first time in Rogue One: A Star Wars Story. Felicity Jones' character has the distinction of being the one new character who is actually given a name. Jyn Erso is a criminal. She’s a forger, a thief, and she’s capable of violence. Have we got a job for you! Due to Jyn Erso’s penchant for breaking laws, the Rebel Alliance decides to use her skills to assist them in getting information on the Empire’s new weapons system. She looks like she might be a bit of a hard case, but that also means she’s probably very capable of doing the job. She looks to take down a few Stormtroopers on her own, and that’s without having to resort to The Force. Based on what we see here, Diego Luna’s character looks to be our elusive "male lead" character. We see him very early in the trailer inside the rebel base where Jyn Erso is making her deal. We’ll call him her "handler" for the moment. The Rebel Alliance knows that Jyn Erso has the skills, but they’d be crazy to trust her completely. We see Luna’s character with Felicity Jones at the Rebel base at another point as well, which implies these two will be working closely together. 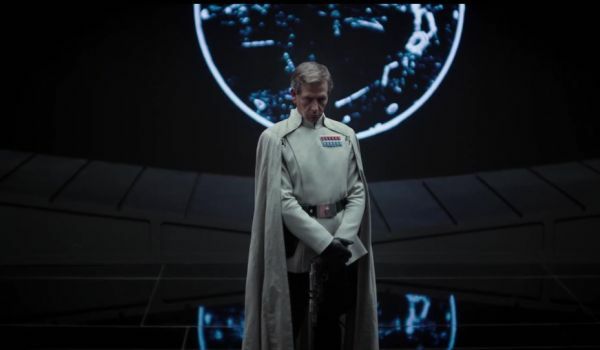 As expected, Ben Mendelsohn will be playing the villain of Rogue One: A Star Wars Story. We’ve heard descriptions of an Imperial character dressed all in white, complete with a full cape, and this is certainly him. Other than the color, his uniform has the look of a traditional Imperial general, or Moff, and indications are that’s the character he’ll be playing. We assume he’s the man who’s been trusted with the Death Star plans, who needs to protect them from our heroes. He certainly doesn't look like somebody we'd choose to mess with. 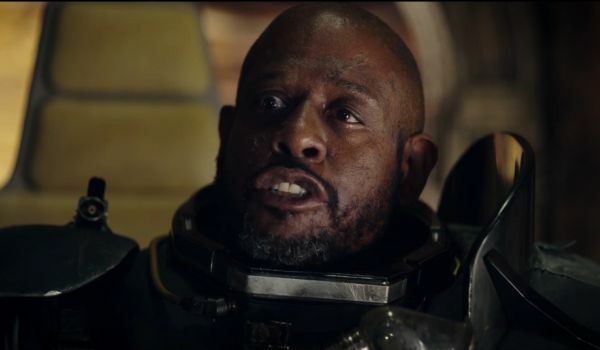 While Felicity Jones’ Jyn Erso is the focus of our trailer, a good portion of the dialogue comes from Forest Whitaker’s character. We don’t know any more about him than we do anybody else, but we do see his character in full armor so he’s certainly a fighter, or possibly was one. 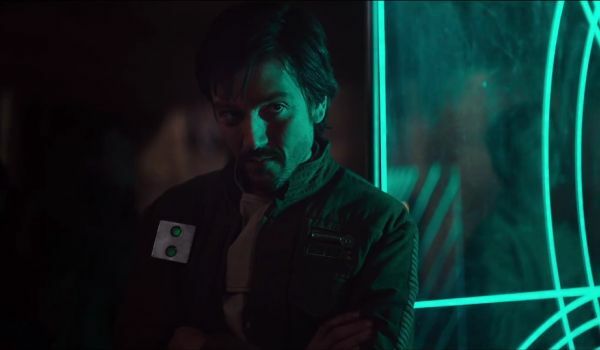 His voice over is focused on what somebody, Jyn Erso we assume, will do when she’s caught. He wants to know she’s tough enough to handle it. He appears to be the "taskmaster" of Rogue One: A Star Wars Story. It looks like it’s his job to make sure the team can complete their job. While our shots of Donnie Yen are only brief, we seem him doing what he does best. Yen is one of the top action stars out of Hong Kong and the glimpse of him we see here shows us why. Armed with only a staff, he finds himself surrounded by Stormtroopers, though for him that doesn’t appear to be an issue. He may turn out to be the most interesting character of the lot. The Jedi have been the closest things to martial artists that we’ve seen in the Star Wars universe, but our understanding is that nobody on the team actually is one. It gives Yen a unique skill set. 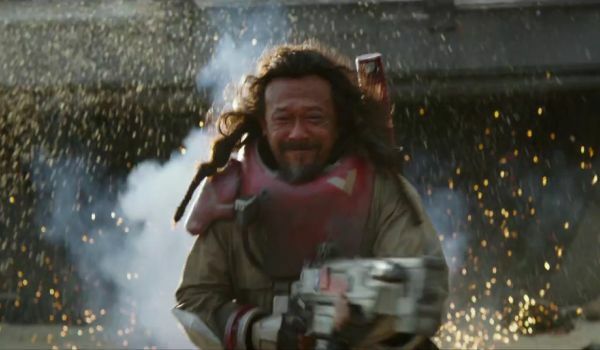 Our one brief glimpse at Jiang Wen shows him running toward a fight, blaster in hand. The trailer makes it look to be the same battle that includes Imperial Walkers attacking, which means he doesn’t lack for courage. The one shot does seem to confirm the information that we do have about his character. Rumors have said that he is the team’s resident gun enthusiast. He’s said to have as many concealed weapons on his body as he has visible ones. He may turn out to be one of our favorites. 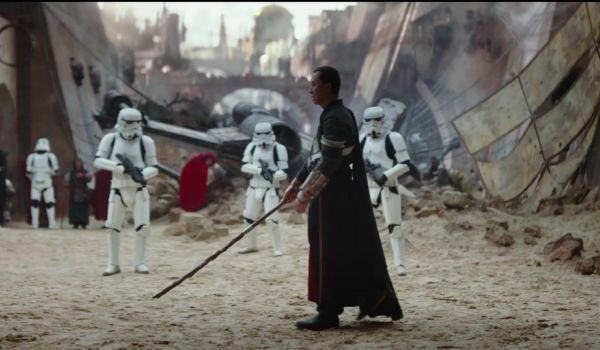 And finally, we have the new Stormtrooper design for Rogue One: A Star Wars Story. While their official name is unknown, they’re being referred to as "Death Troopers." These characters seem like the most intriguing choice. Since the film is set prior to the events of the original Star Wars: A New Hope, inserting a new type of character that we don’t see in that trilogy could feel out of place. 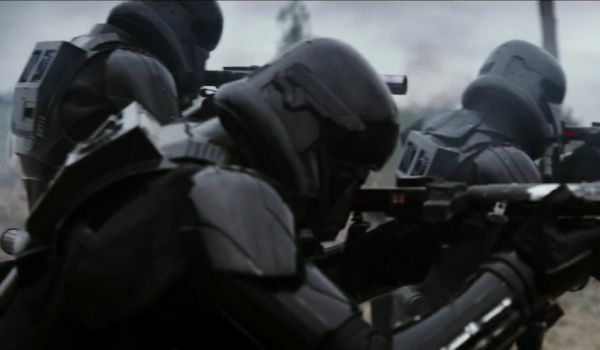 Perhaps this movie will be the "end" of the black armored Stormtroopers for some reason. We’re looking forward to finding out. 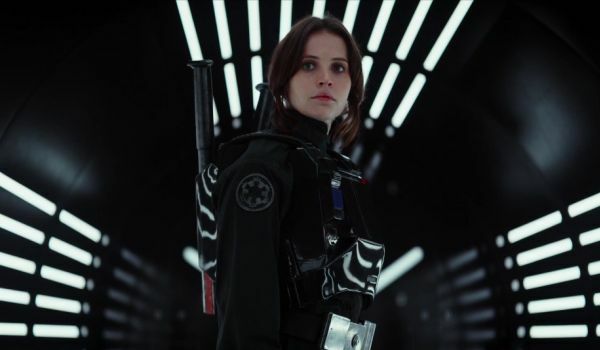 Which Rogue One Actor Are You Most Excited To See?